When you’re looking for a more affordable, yet effective, alternative to roof slates or roof tiles, roofing sheets offer a practical and simple option. Though this method is commonly used for the roofs of industrial and agricultural structures, it’s also suitable for domestic buildings. The most popular options are fibre cement, plastic or polycarbonate, and metal roofing sheets. Fibre cement is environmentally friendly and won’t rot or decay over time. Plastic or polycarbonate is popular for domestic structures such as greenhouses, conservatories and carports. Lightweight and affordable, this offers a suitable alternative to glass and has a much higher impact threshold. Metal sheets are usually made from steel. Light and long-lasting, this is a popular choice in industrial applications. Roofing sheets, sometimes referred to as roof cladding, are perfect for weatherproofing buildings with low roof pitches, quickly and affordably. With more than 30 years’ experience of working in the building and roofing industry, we’re always on hand to offer free and impartial advice, to ensure that you select the right product. 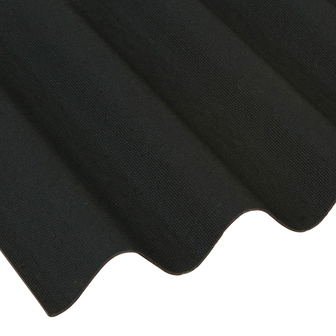 Buy roofing sheets online today from Ashbrook Roofing. We offer free and impartial advice on your roofing project.